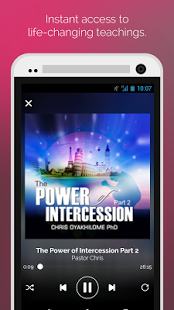 Pastor Chris Digital Library is an Android app developed by LoveWorld New Media (51/53 Kudirat Abiola Way, Oregun, Ikeja, Lagos, Nigeria.). Others apps created by LoveWorld New Media are: PastorChrisOnline, PastorChrisLive. Pastor Chris Digital Library first became available on 07 Aug 2013. It is estimated that Pastor Chris Digital Library has been downloaded between 100000 and 500000 times from the Play Store.